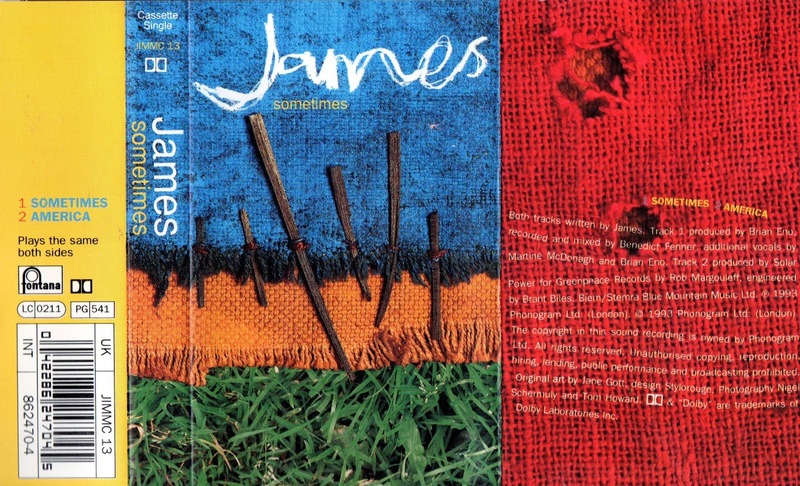 One of James' strengths has been the quality of their b-sides, often showcasing a different side to the lead tracks, satisfying their urge to experiment and their creative abilities which generate so much material in their jamming sessions, but also including tracks that didn't quite fit the mood of the album. Opening disc 4 are the two b-sides of the Sometimes single, starting with a live version of America, a track that was introduced into the set in the summer of 1992 and was a standard feature of their acoustic shows in the autumn and winter of that year and this version of the track, never released in studio form, comes from that tour. Next up is Building A Charge, a dreamy moody piece that could have fitted on the main album itself, but which is overtly sexual in its lyrics - "soft and then hard, building a charge". Next up are the three Laid single b-sides. The Lake was a personal favourite of Tim's and he championed its inclusion on the album, but was voted down by the rest of the band who were unsure about the content of the lyrics. It was resurrected with huge success on the band's 2011 orchestra tour. The other two tracks are more of the jam-based material and provided a first insight into the style of the at-that-time unreleased improvised album. 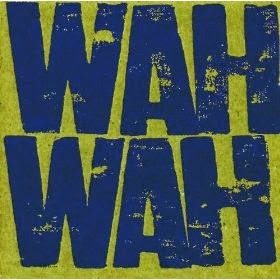 Wah Wah Kits employs looped electronica and treated vocals that reprise the style of Wah Wah and Seconds Away is an even less structured two and a half minutes that feel as if Tim is in a world of his own, oblivious to the music, yet in the same thought zone as his band colleagues creating it. Assassin is based around the story of an ancient Middle-Eastern assassin with references to the Egyptian Baksheesh bribery culture. Unlike the rest of the Laid sessions, this track was produced by the band themselves and features keyboard player Mark's debut on guitar. The disc then moves onto a series of session tracks recorded at the time. First up is an acoustic version of Laid performed for Atlanta station 99x with an extended intro - it's a stunning reworking of the song showing their ability to transform their songs into something a little different. 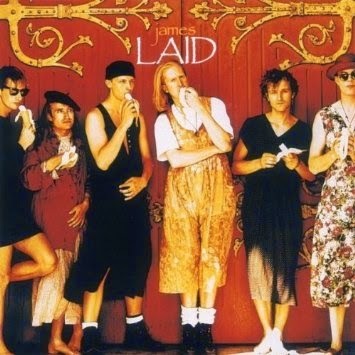 The next four tracks came from Radio 1 James Day when they performed six session tracks over the course of five shows from Maida Vale studios (all six appear on the 2cd version of the album) and show how much of a formidable live band James were at the time. Low Low Low even brings in the kitchen staff from the BBC studios to provide backing vocals. Sometimes has that beautiful wistful feeling to it that makes it such a special song for so many fans and, stripped of a baying audience, it doesn't get stretched out and sung back, making this version unique. Five-O undergoes a similar transformation and, in true James tradition, they revealed the as-then unreleased Tomorrow to the prime-time BBC audience in a more frantic, less polished form than the 1997 single release. The album finishes with the 33 minute version of Jam J remixed by Andrew Weatherall's Sabres Of Paradise. It's actually a combination of Jam J and Honest Joe, but it's a very different James to anything you've ever heard before. Tim doesn't appear at all and the track is a mix of their jams and Weatherall's studio trickery. 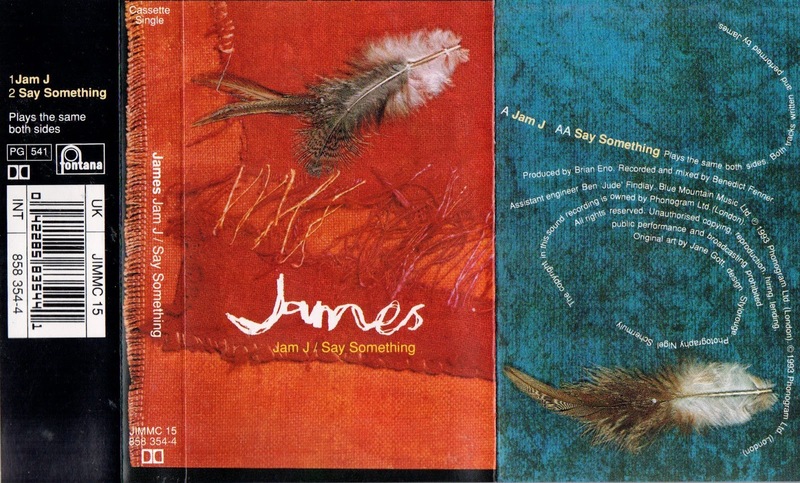 It's definitely an acquired taste and not something that will necessarily appeal to all James fans. 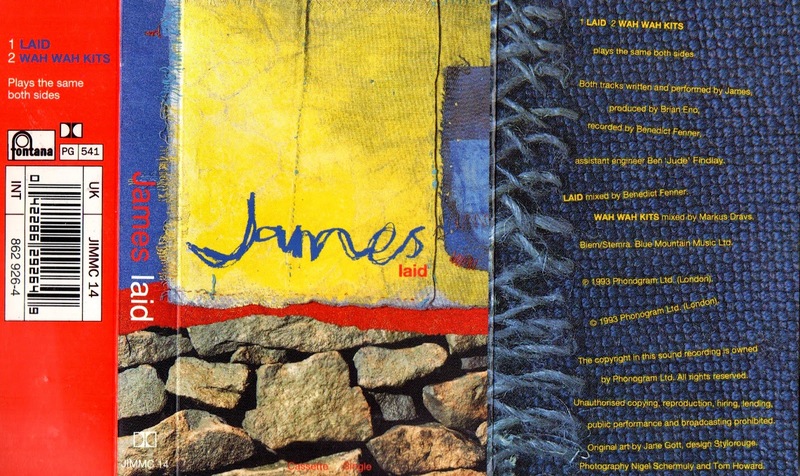 The fourth disc covers most of the extra tracks around the Laid and Wah Wah album. The completist might point to absence of the rather excellent Folk Testosterone Abort Mix of Honest Joe (although the disc three version should satisfy this) and the 1-3-4 mix of Skindiving (from the Volume 9 cd) and the live version of Sometimes from the Woodstock live cd, but as a set this package does the Laid and Wah Wah albums full justice.